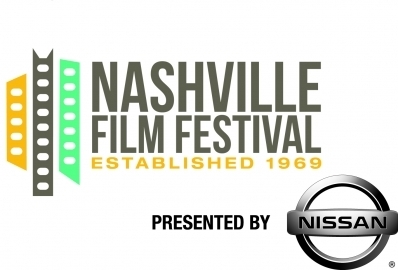 The Nashville Film Festival, presented by Nissan, has announced a partnership with the Academy of Motion Picture Arts and Sciences for a three-day Celebration of Kurdish filmmaking at NaFF 2013. Twenty filmmakers and dignitaries from the Northern Iraq region of Kurdistan will present Kurdish films in multiple events April 19, 20 and 21. The events, which are open to the public, will be heavily attended by Nashville’s large Kurdish population. The city is home to the largest population of Kurdish immigrants in the United States. The “Celebration of Kurdish Films” plans to highlight the work of Bahman Ghobadi, renowned filmmaker known for his controversial films including “Turtles Can Fly” (2004) and “Rhino Season” (2012). The Cannes Film Festival has awarded him the Camera d’Or for his first feature film “A Time for Drunken Horses” (2000), and the Un Certain Regard Special Jury Prize for “No One Knows About Persian Cats” (2009). Ghobadi’s films have been labeled critical of Iran and he has been banned from that country. His brother was recently released from prison in Iran and his finacée, journalist and author Roxana Saberi, was released from Evin prison in Iran after five months. The Celebration of Kurdish Films is a natural result of NaFF’s outreach efforts conducted with support from the Academy. In 2008, NaFF was awarded a $75,000 multi-year festival grant to expand its reach to Nashville’s diverse populations. NaFF has also been named an Academy Award® Short Film Qualifying Festival, which enables short films that win at NaFF to be given automatic Academy eligibility. Nashville Film Festival (NaFF), April 18 – 25, 2013, presented by Nissan, brings the world to Nashville in an eight-day celebration of film. Attended by filmmakers and industry insiders, and open to the public, NaFF screens more than 200 films from nearly 50 countries. NaFF celebrates the diversity of the human voice and vision by curating program segments to include Kurdish, Latino, Black, GLBT and Jewish films. Founded in 1969 by Mary Jane Coleman, it is one of the oldest (44 years) film festivals in the U.S. As an Academy Award qualifying Festival, NaFF draws filmmakers and celebrity guests to its red carpet at the Regal Green Hills Stadium 16. The Festival annually garners notice from the Associated Press, The New York Times, The Wall Street Journal online, MovieMaker Magazine, Film Festival Today, IndieWire, Variety, Billboard, New York and Script Magazine. In North America, Nissan’s operations include automotive styling, engineering, consumer and corporate financing, sales and marketing, distribution and manufacturing. Nissan is dedicated to improving the environment under the Nissan Green Program and has been recognized as an ENERGY STAR® Partner of the Year in 2010, 2011, and 2012 by the U.S Environmental Protection Agency. More information on Nissan in North America and the complete line of Nissan and Infiniti vehicles can be found online at www.NissanUSA.com and www.InfinitiUSA.com.